joseph: You can go for another brand (Nokia, SE or Samsung - in this order) or wait aprox. 1 year until TCL will launch another phone. peceg, The bluetooth feature of this phone is designed only for bluetooth headset and not for transferring files to other bluetooth enabled devices. Anyway, you can use IR in transferring and/or receiving files. You also have the option to use USB or use card reader and transfer mp3 or pictures from your pc to your mini sd card just by using "drag and drop". 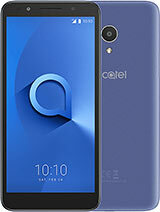 I had alcatel c552 more than 6 months ago and it gives me really bad impression... until i generalized that alcatel phones aren't good. That's because after 1 months, it just show flaws... it keeps on restarting virtually forever, so i can't use it. I bought it for Php 5thousand+ or $100+. 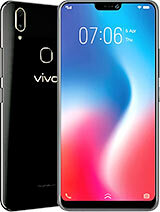 i was attracted with its features, including IR connectivity. but, i think its better to have a less-feature phone without flaws than to have more-feature phone with so many flaws? We'll it happens, what can i do then, since i brought it in a repair center, yet, it's not yet finish. anyone having c552 operating software here? or can u suggest better brand? In my telephone meny when i wont to send some pictures i can't see options bluetooth, even when I activate them. Peceg: Can you please describe more accurate how it does not work. What are you trying to do with it? Bluetooth in my Alcatel S853 doesn't work. Can somody tell me how to repaire my problem? Good to hear you like the phone now Webdude! It is really pretty good with the latest firmware. And to the guy (or girl) who has been giving the info about the new phones... please... email me at un112@msn.com , please!!! I have some questions to ask... All will remain confidential! 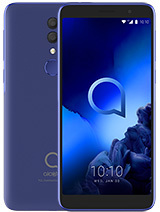 Please, if you are an Alcatel product manager or something, please email me... its the least you can do in exchange for the customer care I have been doing on this forum not to mention trying to improve your brand image... and in most cases even succeeded. - now you can you download pictures and games from the my-onetouch service. Everything is still confidential. Adjustments to some software bugs is still in progress but they will be launched before the first quarter of 2007 ends. Can you please confirm this with some sort of proof? This model is already phased-out. This is no longer available in the market except those stores that have this item left unsold. This will be replaced with OT C850, OT S860, OT 797 and other new models with full features including 3G and with competitive price. Name and release date of the new model are not yet disclosed, it could be the C850... but it could be something totally new too. We shall see some info soon! 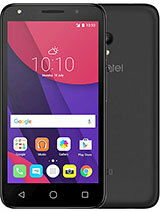 When will launch TCL a new model with full Bluetooth and 3G? Do you have any idea? And what is the name of that model? For the last time, the bluetooth function of this S853 will not be upgraded! 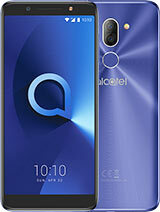 Alcatel will launch new models soon with all sorts of enhanced features. are there still no news about the bluetooth of ots853??? Hung, Yes the 1 GB cards are supported... but the operating speed depends on the speed of the card and not so much of the phone. There are high speed memory cards available... they are usually a bit more expensive. Marius, here in Cebu, Philippines, my brother brought his SE K750 to a KODAK Photo Center where there is a machine that prints picture from a mobile phone using IR or bluetooth. My brother said that it took almost 30 minutes to (he is using bluetooth) to have his picture printed. Maybe the machine is loaded with software that scans virus from bluetooth as there have been many nokia phones here that were destroyed by virus when the user use bluetooth in transferring and receiving files from other devices. 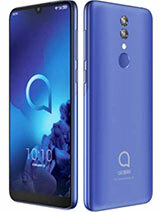 I'm an alcatel fan too but to be honest, I have observed that when my brother transfer file to other phone using bluetooth it is quicker than the IR. Anyway, let's just wait. 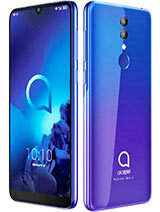 Alcatel will be releasing its new model soon that contains full bluetooth and 3G.